Tottbacken, featuring exclusive holiday apartments, is located in a classic mountain setting in the middle of the best skiing region in Scandinavia. You stay in comfortable and spacious accommodations in stylish apartments with magnificent views of Renfjället and Åresjön. The ski in-ski out location next to Tottliften means you can put your skis on right outside the door. 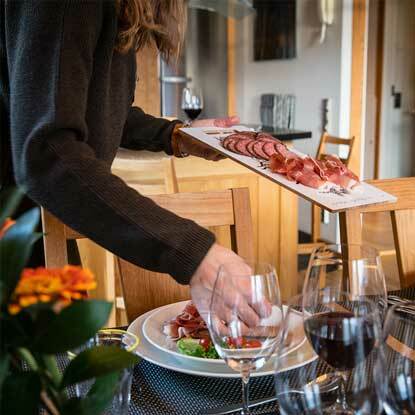 Tottbacken offers some of the finest self-catering accommodation in Åre. The house is privately owned and has just six apartments, out of which four are available to rent. The apartments boast all of the key features needed for a comfortable stay including your own sauna, a fireplace and a well-equipped kitchen. From lockable ski storage with a dedicated waxing bench mere steps away from the slopes, to built-in carpentry in beautiful materials, everything breathes the same attention to detail. 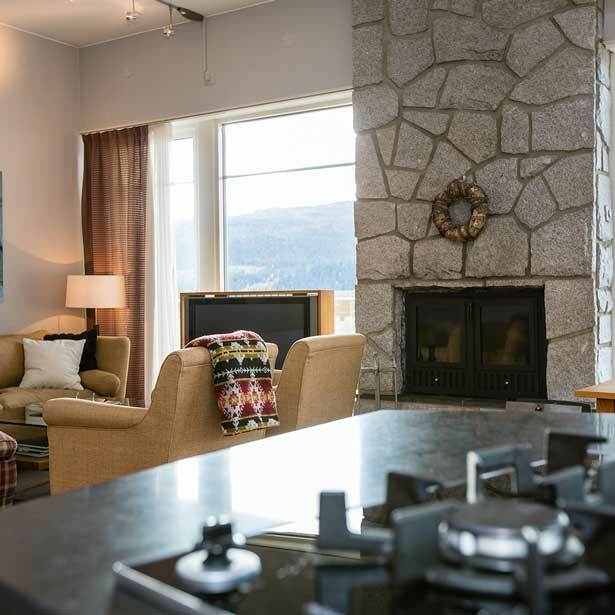 This also includes the convenience of parking in our heated garage and taking the lift straight up to the residential floors and ski storage room. The lobby, where you can enjoy watching TV and also use the changing room in the event of your departure being later than check-out time, is located on level 4. The apartments boast all of the key features needed for a comfortable stay, from an X-box and the children’s favourite DVDs, to a well-equipped kitchen where the cooking enthusiast can find everything necessary to prepare good meals and drinks. Enjoy an evening in front of the fireplace, or a sauna or jacuzzi bath on the terrace as the perfect ending to your day in Åre. With the best skiing in Sweden outside your door. Åre is the leading Swedish year-round mountain destination and offers everything you need from restaurants, night-life and shopping within walking distance. The village has attracted tourists for more than a hundred years and has arranged two World Championships in alpine skiing, 1954 and 2007, and we are looking forward to our third World Championships in 2019. The skiing is of the highest standard in every category – from playful family areas to fantastic off-piste. There are also excellent cross country trails as well as the stunning mountain environment for those who enjoy hiking. There is plenty to discover in summer as well as the winter. Åre is so much more than just skiing. The village has a special, authentic atmosphere and a true village feel. The 900-year old church, the school in the middle of the village and atmospheric streets naturally contribute. Everything is centred around the market square or within short walking distance. Here you can find great food, shopping and night-life of an international standard. Several restaurants are run by well-known chefs and are recognized for their culinary skills, creative menus and attentive service. In the summertime, Åre’s attraction is of another tempo. The village shows its more multi-faceted side. Slower-paced activities are offered as well as action-filled adventures with the Åre mountain as a common playground, offering everything from hiking, running, downhill-biking, hunting, fishing, sailing, kayaking and a host of other activities. Åre offers a full range of events and activities all year round, summer as well as winter. Mountain marathons, Åre Bike Week and the Åre Autumn Market are some popular events that return every summer and autumn. The restaurant scene is also active with outdoor dining and good food. A warm welcome to Tottbacken in Åre! Do you have questions about our apartments or our guest service? Contact us using the form below. Have you already made your booking? Contact us to book guest service. Have you already made your booking? Contact us via our exclusive guest service.